﻿ How to choose a 40G QSFP+ Transceiver? In the 40GbE and IB-FDR(56Gb) interconnect solutions, 40Gb QSFP+ transceivers account for a large percentage of the market share. QSFP+ SR4, QSFP+ eSR4, QSFP+ IR4 and QSFP+ LR4 are the most popular optical modules. QSFP+ SR4(QSFP-40G-SR4) offers 4 independent transmit and receive channels, each capable of 10Gbps operation for an aggregate data rate of 40Gbps over 100 meters on OM3 multi-mode fiber(MMF) or over 150 meters on OM4 MMF. QSFP+ eSR4(QSFP-40G-CSR4) that works in the same principle as SR4, can be considered an enhanced QSFP+ SR4. 40GBASE-eSR4 QSFP+ Modules extend the reach of the IEEE 40GBASE-SR4 interface to 300 meters and 400 meters on laser-optimized OM3 and OM4 MMF respectively. QSFP+ IR4 module(WSP-Q40G-LR4L) works with signals over four wavelengths, which were multiplexed and demultiplexed within the device. QSFP+ IR4 supports link lengths of up to 2 kilometers on a standard pair of single-mode fiber(SMF) with duplex LC connectors. QSFP+ LR4(QSFP-40G-LR4): fiber components adopt CWDM technology to integrate signals: multiplexing and demutiplexing. 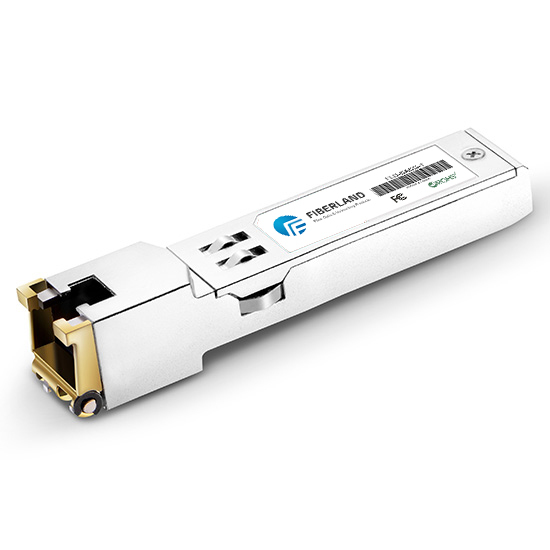 QSFP+ LR4 only connects with one pair of LC duplex: Tx and Rx, supporting link length up to 10km. There is a parallel single-mode type of QSFP+ LR4 optic we call it PSM(QSFP-LR4PSM), which transmits 4 transmitted signals and 4 received signals directly. An 12-core MPO/MTP fiber patch cord cable will be used to connect with it, links 1.4 to 10km. QSFP+ LR4 can be connected with QSFP+ LR4 by LC duplex patch cords, as solution showed below. The central wavelengths of the 4 CWDM channels are different: 1271, 1291, 1311 and 1331 nm. Theoretically, the central wavelength of QSFP+ LR4 PSM is 1310 nm for all 4 channels. However, by the strong R&D ability, Fiberland is available to customize 4 different CWDM wavelengths on customers' requirements.